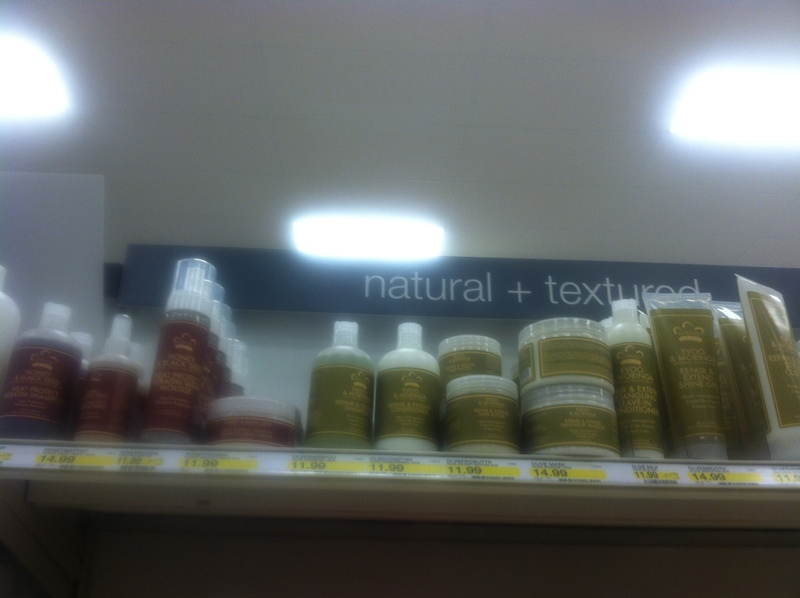 I was at Target in Cedar Hill , Texas and I noticed how big the ethnic hair care section was. I stopped and stared. The section in Target was not this large before I left for school, and the section in Lubbock, Texas isn’t this large. This was what I remembered not too long ago, an endcap at the end of the aisle. Now it’s in two places the end cap and the entire row with full product lines. Nubian Heritage has its own row, Shea Moisture has its own row, Mixed chicks has its own row that goes all the way down as well as a lot of other brands. It’s not that they had a lot of hair products, but a lot of it was for Natural hair and was even broken up into two sections “Natural and textured” and “relaxed”. This takes detail. If you go to Walmart it simply says “Ethnic Hair” one aisle full of Ampro, Blue Magic, and God knows what else. These labels mean they did some research; They know who they’re targeting, what they want, and they’re not just gonna buy it because there’s a brown person on the label. Someone paid real attention to it. Because Target is awesome, but besides that I believe it has to do with demand. Taking care of your hair is trendy right now. 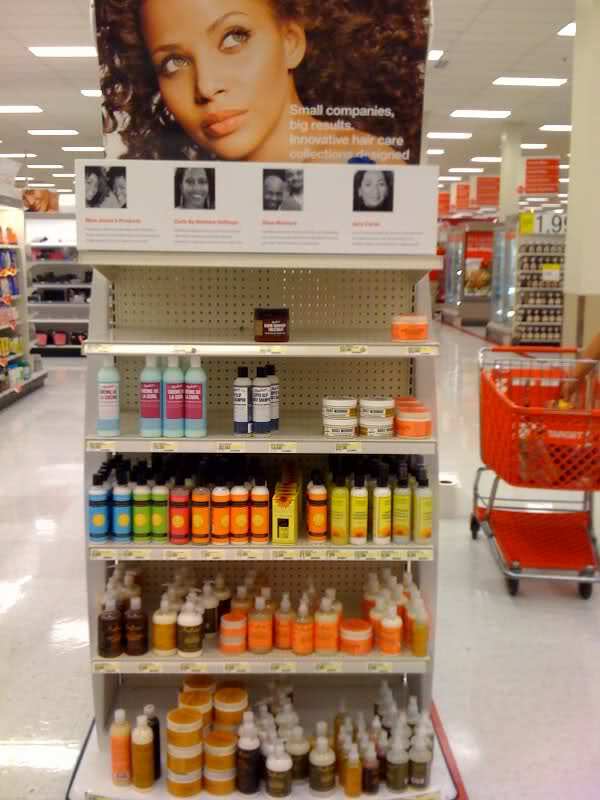 Women are going in droves to the store to get natural and organic products for their hair. 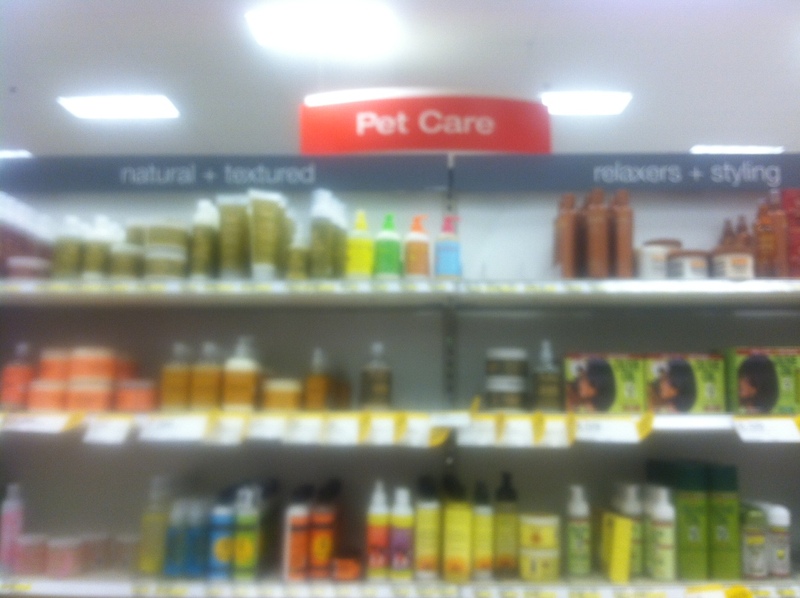 If you’ve watched commercials for any type of hair they’re featuring natural ingredients. “with honey extract” “olive oil” and “grapeseed oil”. L’oreal launched their “sulfate free line and have even expanded it (EverStrong, EverySleek, EvereCreme, and EverPure). (I love the EverStrong in the green bottle) Consumers are more informed and more adamant about what they will and won’t use in a hair product. This is a perfect example about how consumers feel about multicultural marketing. It takes real work, consumers want companies to be authentic in trying to reach them. It made me think of an article I read in Adweek a long while a go by Robert Klara. Which made think, if we were to show the companies that we as a minority community made it known to the companies that we wanted better for ourselves they’d be forced to fill that demand. Who remembers when you could only buy certain hair brands online? Why is there a Central Market, Whole Foods, and Trader Joe’s within spitting distance of each other in North Dallas, but in other areas only dollar stores, Popeyes, and liquor stores are the only thing that seem to be placed in our areas. It has a lot to do with demographics, but let’s not forget we have a voice outside of what statistics say. What do you think? Comment below or tweet me at @Paige_Nash! Top Five hair products from Target: 1. Fekkai Shea Butter Conditioner & Shampoo 3. Shea Moisture Anti Breakage Masque, 3. L’oreal EverStrong No Sulfate Shampoo 4. Neutrogena Triple Moisture Shampoo & Conditioner. I also purchase the majority of my oils there.